The SCBWI Bulletin is a bi-monthly publication containing comprehensive and current information in the field of children’s literature. In addition to features each month, regular departments include the latest market reports, information on school visits, book reviews, art tips, information on contests and awards, information on the illustration market, news of SCBWI members, and information about ongoing SCBWI activities throughout the world. The SCBWI Bulletin is an invaluable source of information and inspiration to writers and illustrators of children’s literature. 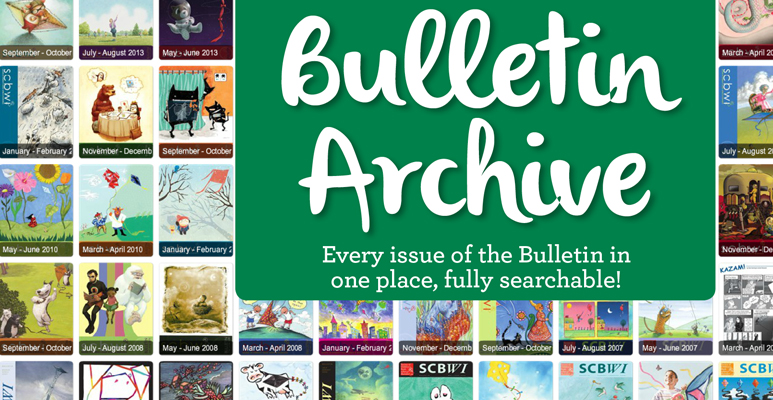 We now have over 40 years of SCBWI Bulletins archived. Members can access the current issue and the archives below.